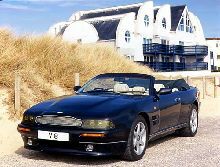 Launched in 1996 to replace the Virage coupe the new V8 Coupe offered V8 Vantage styling with the less daunting, normally aspirated 5.3 litre V8 engine. Available only as an automatic the V8 Coupe featured a beautifully appointed interior and a new chrome mesh grille. 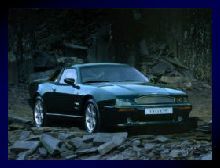 Other additions included OZ "Saturn" road wheels, round front fog lamps, Vantage rear lamps and the six headlamp front-end which was also shared with the more powerful Vantage. Sadly due to US type approval reasons the V8 Coupe was only available in Europe and the Middle East.